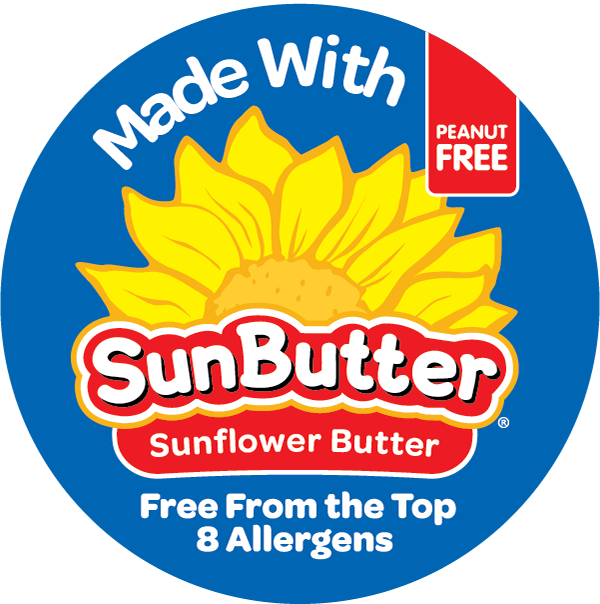 Place our “Made with SunButter” stickers on any snack, sandwich, or goodie to show your food is made with SunButter and 100% peanut free and school safe! With a growing number of food allergies, many homes, schools, cafeterias and other public areas restrict or prohibit peanuts. These Made with SunButter stickers are ideal for lunch boxes, bags, and containers as well as snack and sandwich baggies! This product is sold exclusively on Soap.com or Amazon.com or as a free, printable download.